There was a time in life when you rolled your eyes at cutesy baby talk and parents pushing strollers through the mall. Now you're one of them! You are constantly referring to yourself as Mommy, you have spit up stains on most of your shirts, and you've changed more dirty diapers than you can count. But you know what? It's all worth it! That little baby brings so much joy into your life! 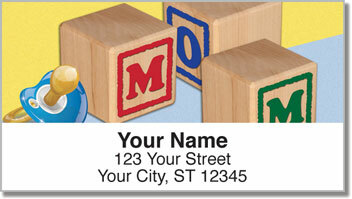 Baby Block Address Labels are an adorable design from CheckAdvantage that are perfect for moms and dads with a new arrival in the house. 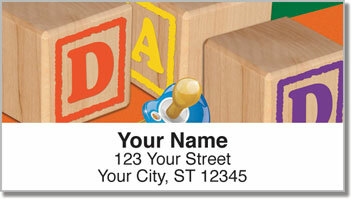 Plus, they'll save you a ton of time preparing outgoing mail - because we know you have your hands full! 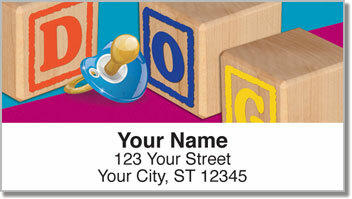 Make Baby Block Address Labels yours today! 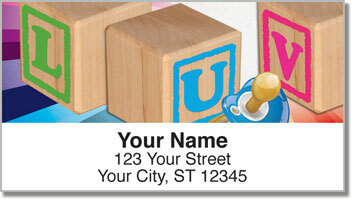 Don't forget to add matching personal checks to complete your order!